277 p., 18,1 x 25,4 cm. 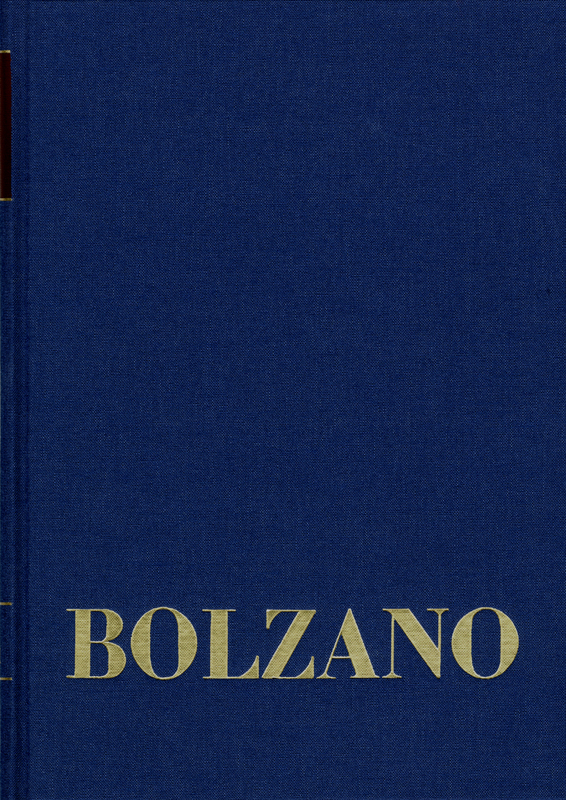 In the academic year 1811/1812, Bolzano held 46 edification speeches. All of these have been preserved completely and in multiple versions, with one exception which has only been preserved in the form of written notes (1812.40). Bolzano‘s own lecture notes for 10 of the speeches serve as a basis for the edition. 22 speeches were previously unpublished. 16 of the 46 speeches deal with religious issues, the other 30 give secular advice.